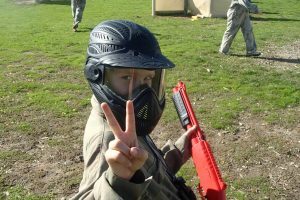 When you book a VIP paintball event through IPG you can rest assured knowing that all of our centres have been carefully chosen as they offer an incredible, safe and fun experience for all who attend. Paintball in the 21st century has come a long way from it’s beginnings, with many centres offering a lot more than hay bales, wooden pallets and old tyres to play between. In today’s paintball world you will find incredible movie-set props, including massive aircraft, buses, pyramids and castles to attack. You will need to use all of your wit to come out victorious, as paintball has developed into a quick thinking strategic game. But there is a whole lot more to paintball than strategy and tactics. We ensure that all centres offer our customers the safest equipment so that your day can be played in complete comfort and safety. Your safety is our paramount concern and we will not do anything to compromise that. To become an IPG-approved paintball centre, each venue must comply with strict guidelines to ensure the safety of its patrons. They also need to meet and maintain optimal standards of facilities, health and safety guidelines and services in the paintball industry. IPGAU has a proven track record and an enviable reputation for organising fun and safe days out for friends and family. In an attempt to achieve a standard minimum age across all states and territories, you can help the Australian Paintball Association (AUPBA) by signing their petition here. With IPG, your safety, value for money and need for action-packed paintball adventure are all in safe hands. 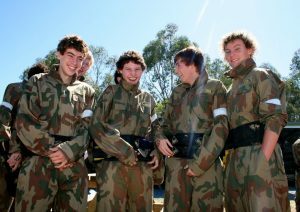 Please contact us to find the perfect centre for your next paintball party.